It's not like Cavalier Brewing to miss out on a party. Indeed, they'll often bring the party. And, in many cases, supply the beer too. So, with The Catfish in Melbourne celebrating its second birthday – and Cavalier telling us it's their favourite of all venues – there had to be a new beer. 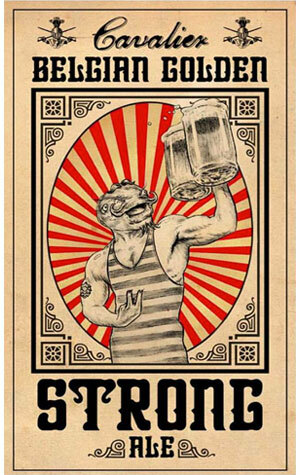 The Belgian Strong Golden Ale is one of four birthday beers (the others are from Mountain Goat, 3 Ravens and 4 Pines) that are being poured on the day of the birthday Poker Pub Crawl at various venues around Fitzroy and Collingwood. And it's also the latest in Cavalier's Limited Release range, which means it will be out in bottles too. We're told it's a light golden beer with "fruity, spicy and honey aromas" plus "sweet but complex malt flavours" that finishes with "a medium to dry bitterness with a smooth mouthfeel and alcohol warmth". It's also 8.8 percent ABV so could finish with you a little wobbly too unless you tread carefully.